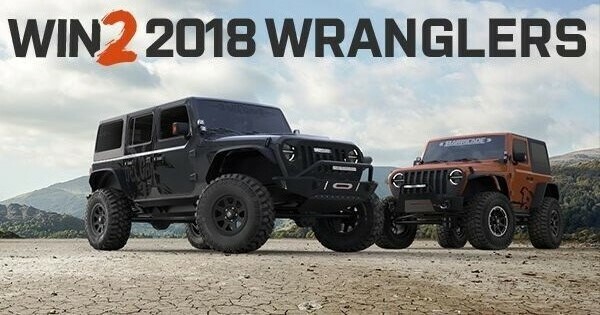 With the Toledo, OH Jeep plant retooling the line for JL production and order banks opening up shortly, the winner of this giveaway will have two of the first 2018 Wranglers to roll off of the assembly line, with both already completely outfitted with a range of modifications. 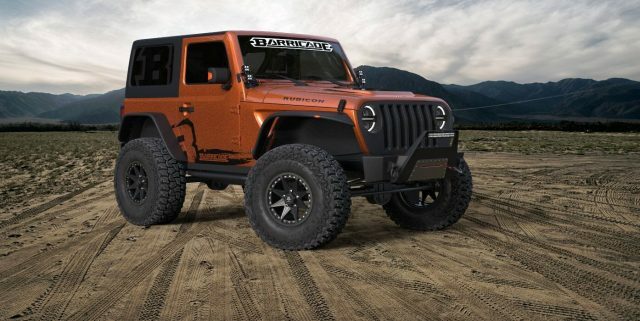 The one JL in the giveaway is going to be a Rubicon Unlimited (4 doors), using the faithful 3.6L Pentastar V6 engine. Sitting on 35 Mickey Thompson Tires and a 2.5 Lift, this JLU will be outfitted with a mix of Deegan38 parts including bumpers, fenders, a grille and much more. 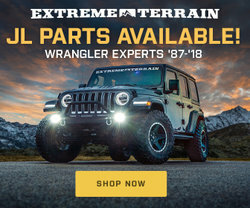 Complimenting the Deegan 38 JLU, the winner will also receive a 2018 Rubicon Wrangler (2 doors) that will be packing the all-new VM 3.0L Eco Diesel engine. Matching the ride height and tire setup of the Deegan 38 JLU, this Barricade JL will be outfitted with a mix of exclusive parts that includes armor, bumpers, fenders, a winch and much more.